The CAB invites you to bring items that you don’t use anymore (max 150 x 50 cm, 10 Kg). It can be clothes, small furniture, old toys, sport items, etc.. In the context of the exhibition TRANSHUMANCE, Beyond Cuban horizons the Cuban artist José Yaque invites the Brussels’s community to be part of the construction of his « Interior con Huracán » (2016). 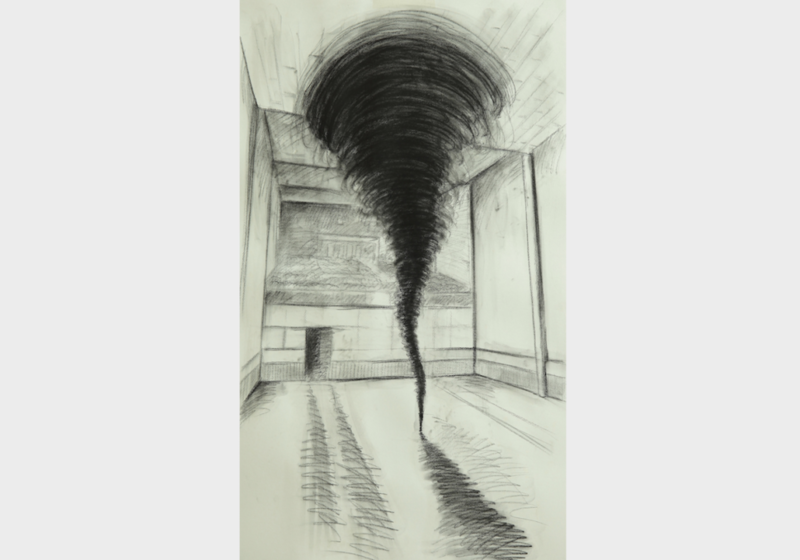 Like a storm, this artwork involves existing surrounding objects on its movement. The theme of the exhibition being in relation with the notion of habitat, he would like to compose his artwork with domestic personal objects still cherished or not by their owners. These objects will bring their own lives and stories into the artwork. In an approach close to Relational Aesthetics Yaque believes on the idea of a collective experience, on which he is not the only storyteller, but where the audience could add their story by offering their own objects and completing therefore the artwork.